Now days every government records come to online. It is very easy to find your any records without going any government office. Most of peoples wants to take a land records or Bhulekh. If you want to take a bhulekh up map or bhulekh naksha up then this blog bhulekh up help you to get you online Land Records of Uttar Pradesh Khasra Khatauni. 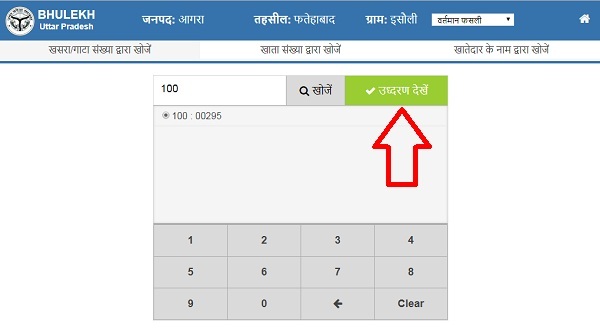 Maharashtra government already started a Mahabhulkeh online portal to get a Satbara (7/12) land records in Maharashtra. You have land in Uttar Pradesh. Looking for a Khasra Khatauni(खसरा खतौनी) or Bhulekh Naksha Up then you have few clicks away to find out How to get your Bhulekh up Map. This blog gives you information about How to find out "Bhulekh Up Map". What is the step-wise procedure you need to follow for getting your Khasra Khatauni. While you are doing any buying or selling property in Uttar Pradesh then you must know details about that land. Is this land is agricultures or it came into any road or Is land owner is government? To get such type of information you must know a land records. What is Khata Khatauni/Khasra Khatauni? In this article, we are going to tell you step by step details regarding Bhulekh Up Land Records or Khasra Khatauni UP. Therefore you must follow steps and don't miss any single steps while looking your Bhu Naksha UP. After opening this portal you see and new window with different options "Janpat Chuniye" "Tehsil Chuniye" "Gram Chuniye"
First Choose your District (Janpath), Then Choose "Tehsil" Then "Gram (Village)"
Now you see New Window of "Bhulekh" with 3 Windows Like "Khasra/Gata" or "Khara Number" or "Khatedar Name". Enter you Khasra Number or Khara Number or Khatedar Name. After Enter your "Khasra Number" You see Khasra and Khata Number. Now Click on "Udharan( उद्धरण)"
Step 5: Now you get a "Khara Vivran" or "Khasra Khatauni"
This is the all about information of Bhulekh UP. While searching any information about Bhulekh UP Map then you just comment below. Our team will try to solve your problems regarding Bhulekh up. Are you eager to check your land records for UP online? If yes, then you have come to the right place. Here, you are going to know about the online portal, where you can easily do this thing without any hassle. Bhulekh UP is a web portal launched by UP Govt. for Land and Land Reforms Department. One can access this portal to get the information about the properties and lands in UP which include land area, owner of a particular land, plot number, the current owner, and property value. When a person is going to buy any land, he or she must know these details of the land. 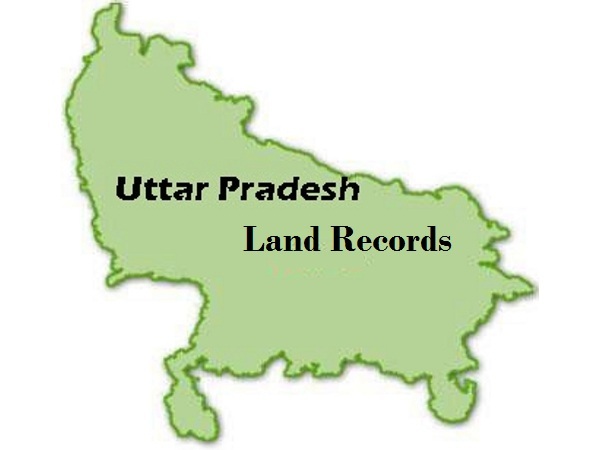 The entire data of the land records is available in a computerized form all set by the government of Uttar Pradesh. 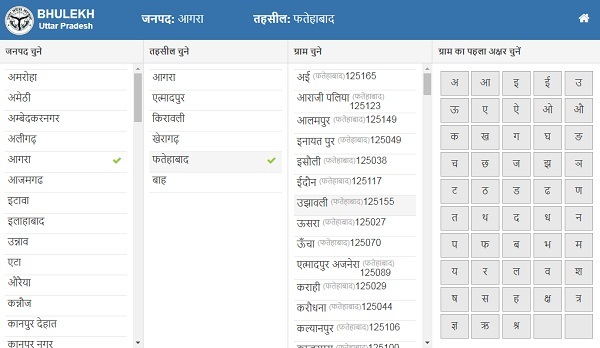 Farmers and citizens of UP can use this portal to get the necessary information of any land. The aim of this portal is to make sure that UP citizens get all the facilities or services through the internet. How to examine land records? To use Bhulekh UP for checking or verifying land records, you need to visit this portal. Then, click on the option available on the home page, ‘View Imitative Copy’. After that, you need to enter the captcha code and then submit it. Now, you will have to choose your district, tehsil, and village. A step-by-step process is available to go for when it comes to checking the land records. 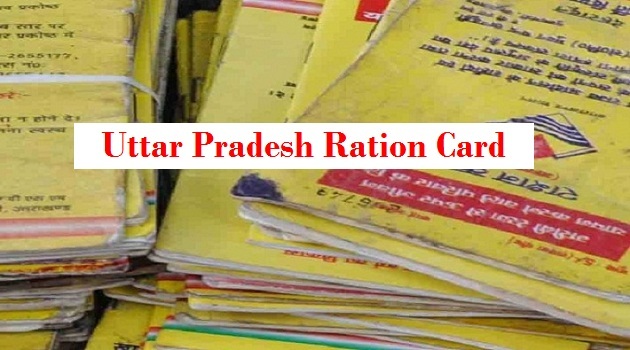 Being a residence of UP, it is vital for you to have Ration Card allocated by the Food and Civil Supplies Department. Having a ration card can give a chance to a person to avail the benefits of the TDPS or Targeted Public Distribution System. You can avail essential commodities under this scheme like wheat, rice, kerosene, sugar, fertilizers, LPG, and much more at greatly subsidized rates. So, getting the Uttar Pradesh Ration Card would be the ideal step to take. UP Rashan Card has many benefits to offer. Firstly, you can consider it as your identity proof that can give you the advantages of many government services or programs. One can also use it in the case of residential address proof when you are going to avail loans from banks or other benefits. Check in which category you fit in. 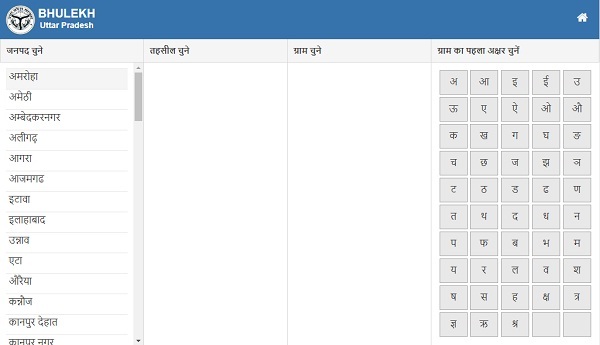 UP Ration Card List is available online after the verification process. Before proceeding with the Uttar Pradesh Ration Card Online Registration process, you need to have many documents handy like identification proof, residence proof, age proof, and much more. It is also important to pay a government fee of Rs 10 to apply it. Visit Food and Supplies dept. after getting the application form filled along with the necessary documents. By referring to the authorized website of the FCS, you can examine Uttar Pradesh Ration Card Status online easily at the comfort of your home. Go for it right now! A Complete Guide On UP Scholarship! Scholarships are a great way to a free education. Intelligent and needy students get a chance to avail scholarship from their schools or colleges to make their education free of cost. By getting the required funds for their education, they step up towards building your career. These days, the government of many states offer different types of scholarship programs to students, who do not have enough funds to go ahead with the right of education. UP Scholarship is the program offered by Government of UP or Uttar Pradesh to provide scholarship. Using this scholarship program, they can pursue their education easily. Other documents include fee receipt, mark sheet, latest passport size scanned photograph, annual non-refundable amount, affidavits, scanned signature, and many more. Once you fill the application form, it would be easier for you to check UP Scholarship Status on the web. You should be a domicile of UP and if you are studying in Class 9 or 10, then you can apply only for Pre-matric program. While on the other hand, if you have cleared 10th standard, then Post matric program is for you. Your family income must not more than 2 lakhs for every year (for Pre-matric). There is a category-wise family income distribution set by the government. It can be found easily. First of all, register yourself by visiting the official website of the UP Scholarship and remember your registration number given by them. Choose your category correctly and make sure you know that the scholarship amount will depend on the category you select. Next, fill your details correctly in the application form which includes date of birth, registration number, password, and captcha. After completing the application filling, then you need a hard copy of this form to be submitted to the institute along with self-attested copies of all the essential documents. Make sure you remember your Login ID and password, which can be used to further check the UP Scholarship Status. Last but not least, if you are in a need to get the UP Scholarship to fulfill your dreams by having a rewarding career in your life, then going deeper into the application process should be your first step. Visit the authorized website of this program right now! After filling the details one can search for the options district wise. Voters can also search for the information online which can be utilized by the voters and get info regarding polling stations. Deadline: - the list will be updated consistently till the last date of filling candidate nominations which are approx. three weeks before the voting date. To get more information on key dates please visit eci.gov.in. 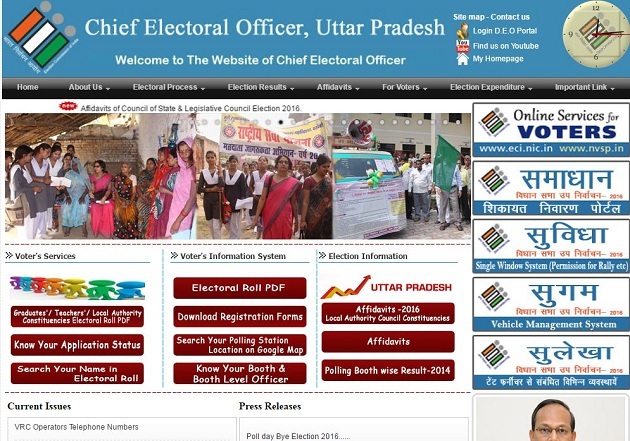 Visit http://ecisveep.nic.in/ for UP Voter Id Search or call 1950 (add STD code). Your vote can make a lot of difference because there are a plethora of motivations behind voting. Take the advantage of your vote in your state and registered your vote with a simple registration process conducted by the election commission of India. Bihar Government recently started a online website for Bihar Land Records or Khasra Khatauni Online. Department of Revenue and Land Reforms Bihar started a http://lrc.bih.nic.in website to get your Bihar Land Records or Khasra Khatauni. Bihar Government started Bhulekh Nakal Ya Khara Online Portal to get your information of Bhulekh Nakal, Jamabandi, Khasra Khatauni information through Online Portal. 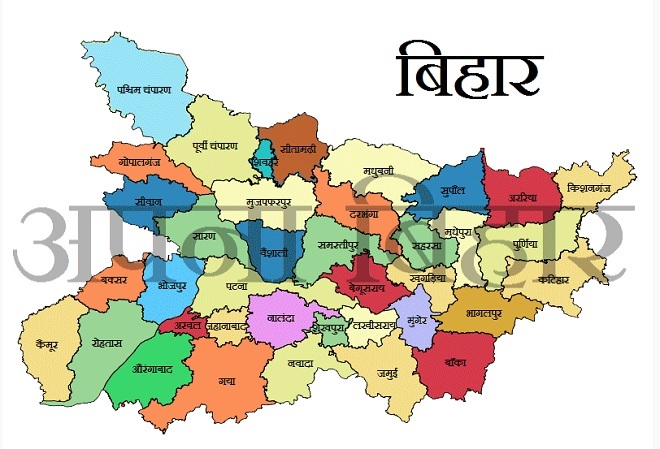 Why Bhulekh Bihar Online Portal Started? Before this online portal, People go to local patwari tehsildar office to get information regarding their land. But that time people need to stay long with queue outside office. After that get a Bhulekh Bihar or Bhulekh Nakal. It takes lot of time of people. To make people government started Online Portal. Through this online portal you get a your details of Khasra Online and Nakal of Jamabandi. How to download Bhulekh Nakal through Bhulekh Bihar Online? If you want to download your bhulekh records through Online Portal then you need to follow few simple steps to download your Apna Khata Details. Now Click on "Khara Khoje"
Click on "Dekhe" in Adhikar Abhilekh. You see your Jamabandi Nakal or Land Records. Now you take a print out for your reference. Are you going to buy or sell and Land then you must need to get a Land Records. From Land Records you get a all details like Who is owner of the Land, Which type of Land and Loan of that Land and many more. 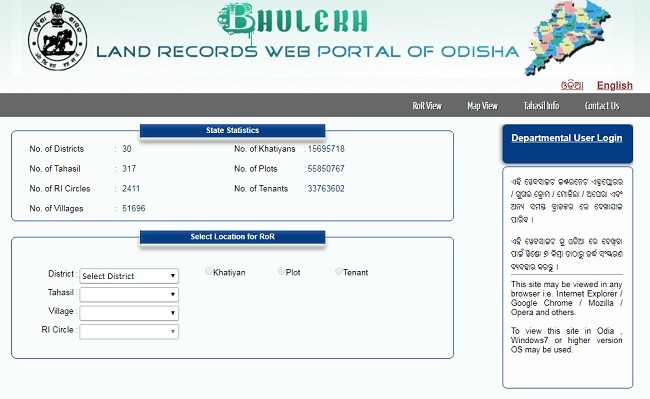 Odisha Government recently start a Online Portal named http://bhulekh.ori.nic.in to get a Land Records (RoR). Online Portal helps you get a Latest Land Records of Odisha State. In previous days, It's difficult to get a Land Records because at that time you must need to go any tehsil office or Revenue department and you need to give a one application. While submitting Application you must stand physically in-front of that officer. after that you get a Land Records. But Recently government Started a "National Land Record Modernization Programme". Under this program government started a Online Land Records through a Online Website. 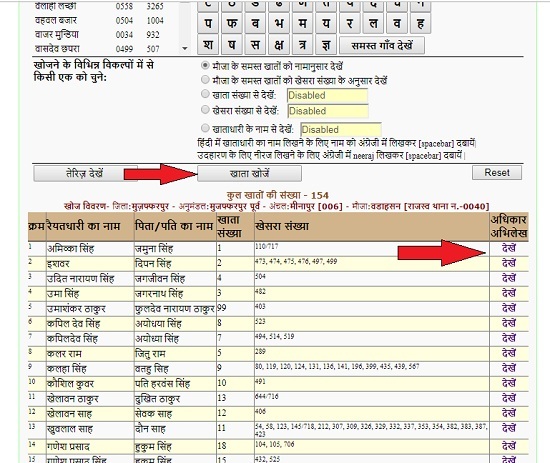 India's Most of government started their own Land Records site Like Maharashtra (Mahabhulekh), Uttar Pradesh (Bhulekh UP), Gujarat (Any RoR), Karnataka (Bhoomi), Jharkhand (Jharbhoomi), Madhya Pradesh (mpbhulekh) etc. You are in Odisha and want to buy or sell any land then you you get a online Records. Now It's very simple to get your Land Records or Khatian & RoR online through Official website of Odisha. While checking your Land Records you must need to follow few simple steps to get Odisha Land Records Online. Now "Select Location for RoR" by selecting your District, Tahasil, Village and RI circle. Otherwise You must select District and Then Select Khatiyan or Plot No and Click on "RoR Front Page" or "RoR Back Page" to get your Orissa Khatiyan. Here You get a detailed Odisha Land Records. You get a Land Record or Bhulekh Orissa Oriya Font Download. You can not use this Copy as evidence in any legal purpose. If you want Land Records for ant Legal Purpose then take a Land Records copy through Revenue Department. Land Records are very useful to avoid Property Fraud. http://www.bhulekhup.net is not affiliate with any State Government. This is educational purposes blog. This blog created for people how don't know regarding How to download Bhulekh (Khasra Khatauni) Online. This blog is helping peoples to easy to use government official website.